Your client’s public Sustainability goals place its reputation at risk. If you do not know what these are, the C-Suite in your clients certainly do. This is because they measured on their achievement. This knowledge can be used to develop new sales opportunities. With elevated expectations from their customers, employees, investors and government, senior executives are very interested in how you can help them achieve these objectives. 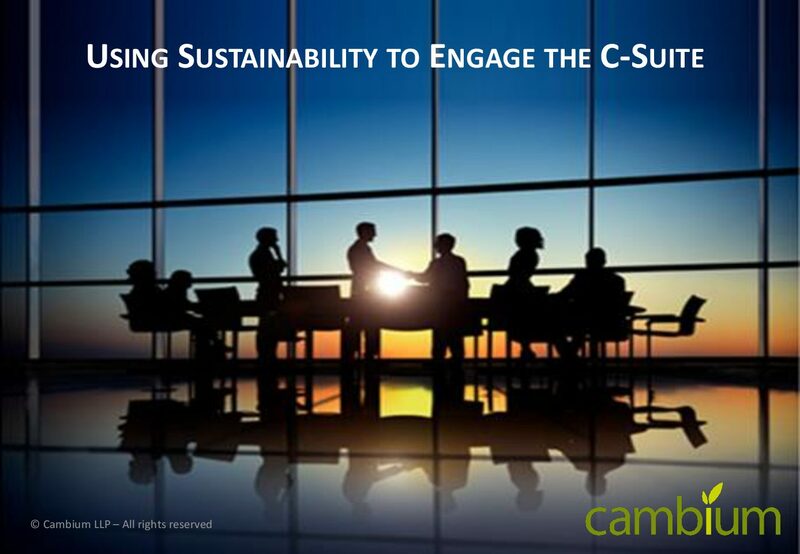 Download our brochure today to see how a short duration sales enablement programme on sustainability can deliver earlier interception of new sales opportunities with your most important clients and prospects. Alternatively, please get in touch with us to explore how we can help your business to use sustainability to develop a bigger, well qualified sales pipeline.